Here is an opportunity to submit Royal Caribbean Cruise reviews. Do you consider your self a "cruise-critic?" Use your skills to describe what happened on your family's cruise ship vacation. Actually, you do not have to be a "cruisecritic," but you must be someone who has sailed with Royal Caribbean to a Caribbean destination. Royal Caribbean International offers multiple cruise sailings to the Bahamas, plus eastern, southern and western Caribbean destinations. If you have sailed with Royal, I am sure that you have a story to tell. 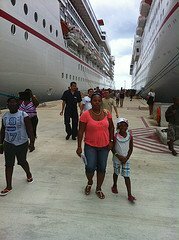 My family sailed via the Royal Caribbean on a 4-day cruise to the Bahamas. Our cruise ship sailed from the Port Canaveral to Nassau, Bahamas and CocoCay, Bahamas (Royal Caribbean's private Bahamian island). My overall impression was "good", but I expected to have been blown away. Our ship, Monarch of the Seas, was an older cruise ship and you could tell. I am not saying that it was poorly maintained. 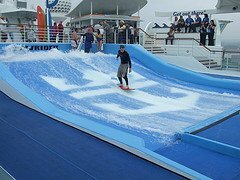 However, compared to newer and bigger Carnival and Norwegian cruise ships that we had been on, there was much to be desired. Despite the ship not being as beautiful or as grand as others, the overall service was impressive. We also enjoyed the food (although I found the buffet dining to be somewhat tiny), and the entertainment was varied and good. Undoubtedly, Royal inclusive Caribbean cruises come alive with fun-filled activities for all. There is a children's program that works well to entertain and involve the children, while parents may wonder off for hours to do their own thing. If you have had a similar, we invite you to submit your Royal Caribbean Cruise reviews. What was the most impressive thing about your cruise? Which Royal cruise ship were you on? There are currently several Royal cruise ships sailing to the Caribbean - Adventure of the Seas, Brilliance of the Seas, Freedom of the Seas, Jewel of the Seas, among several others. 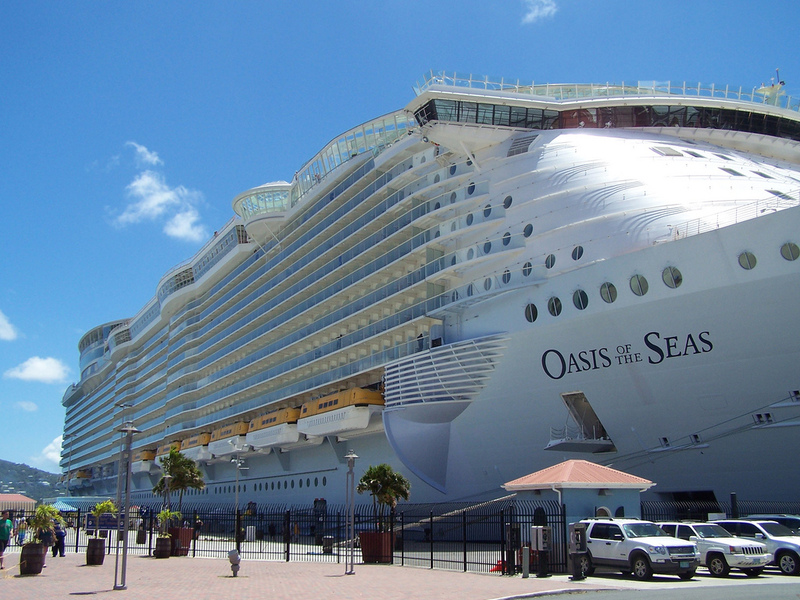 Royal Caribbean boasts the world's two largest cruise ships, that currently offer eastern and western Caribbean cruises: Harmony of the Seas, Allure of the Seas and Oasis of the Seas. Which ship did you sail on? How was it? As you submit Royal Caribbean Cruise reviews, I encourage you identify the best things about your cruise experience, as well as the things that could use some improvement. Why Submit Royal Caribbean Reviews? Many would-be cruise passengers search the Internet for what past cruise passengers have to say about their Caribbean cruise experience. For those of us who love to cruise (cruising is my family's favorite vacation), we will always find the best things about any Caribbean cruise vacation. However, some people need to be reassured that they are making a wise decision by taking a cruise ship vacation, as opposed to visiting an inclusive resort. Your cruise review will help some people. How Do You Write A Royal Caribbean Cruise Review? Start out by being honest. You could talk about the booking and the "before you cruise" experience. Talk about the ship you were on - its design, amenities, etc. You may also talk about your Royal Caribbean cruise dining experience - the main dining rooms, specialty dining, the wait staff, etc. How about the overall service? Royal Cruise Lines is among those Caribbean cruise lines that do not add a mandatory cruise gratuity to your onboard account. Do you believe the service was worth the gratuity or tips your family was encouraged to give? How about the ports of call? Ensure that your Royal Caribbean cruise reviews capture some information about the places you visit. Royal Cruise Line is known for visiting beautiful Caribbean destinations, such as Falmouth, Jamaica and Grand Cayman, Cayman Islands. You might also have enjoyed their private Bahamian island, CocoCay. Say if you found your ports of call exotic or not. 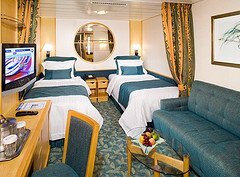 In addition, you may write about any other aspects your Royal Cruise vacation: activities onboard, cabin steward, entertainment, etc. So, are you ready to submit Royal Caribbean Cruise reviews? Great! Please use the form below to share your inclusive Royal Cruise vacation with the world. Have You Sailed With Royal Caribbean? What was your cruise like? What did you enjoy most? Do you have a great story to share? Please share it! Enter Your Title (ex. "Allure of the Seas is the Best!"